Thank you for your interest in our guardian program. Guardian Families are an important part of our program here at Tails of the West and we select our families very carefully! We strive to provide each of our breeding dogs in our program a wonderful life in a loving home. 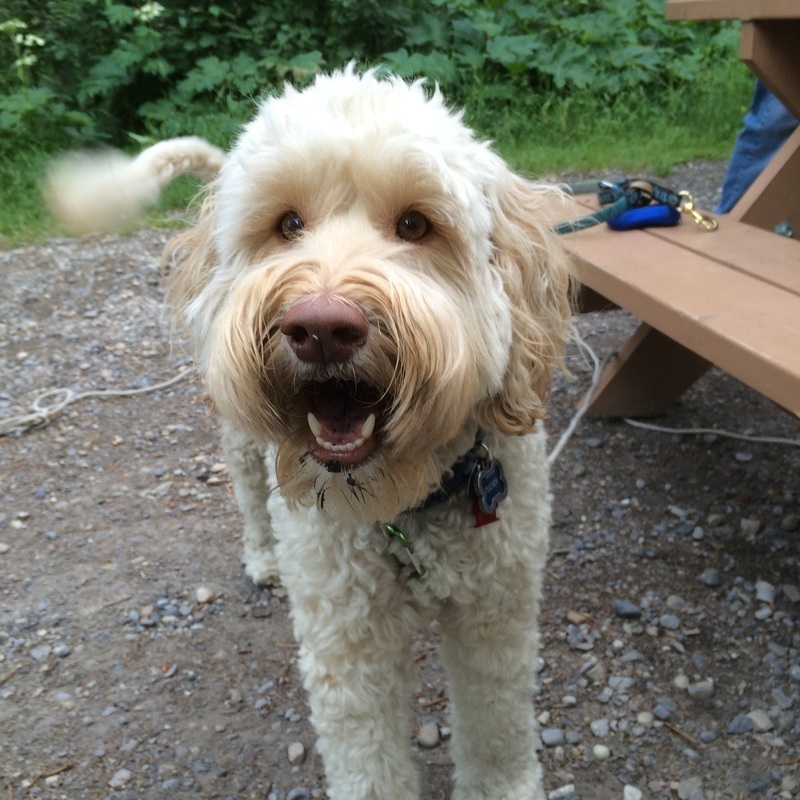 Labradoodles are very social animals who adore their families. They want to be with their families and involved in their daily lives and live in a nurturing, loving environment. A Guardian Family obtains the very best multi-gen Australian Labradoodles that Tails of the West has to offer. This means that we choose the pick of the litter from our breeding stock based on the best qualities. Our Guardian Families get to enjoy the excitement of being a part of our breeding program, and seeing the offspring of their very own Guardian dog be placed with families across the country bringing others the same joy and happiness that they have received from their Guardian Dog. Guardians will pay for normal pet ownership costs such as: routine vet care, premium dog food, dog training, pet supplies and grooming. Costs associated with breeding are covered by Tails of the West. In addition Tails of the West will cover the cost of spay/neuter surgery once the dog's breeding career ends. Guardians must be able to provide a stable and loving home for this special pet. You must live within 30 miles of our home in Peoria, Arizona. You must have a physically fenced yard to provide a safe and secure environment for the puppy/dog. The Primary caregiver must have a schedule that allows the dog to NOT be left alone for extended periods on a regular basis. All puppies placed in Guardian Families must be indoor dogs and are not to be left outside unattended. The dog must be provided plenty of opportunities for exercise, play and socialization. Guardians must have reliable transportation and be willing to bring dog to us at various times for breeding related appointments. Feed a human grade premium dog food that we approve and keep your dog at a healthy weight. Guardians must train or have someone else train their dog to follow basic commands. Cover basic pet costs related to owning a dog including annual vaccines, grooming, training, emergency medical treatment while in your care, if needed, etc. Have your dog groomed every three to four months at a minimum. Visit our home and a willingness to allow us to visit your home so that the dog and us are familiar with one another. If you are applying for a Guardian Home puppy, it will most likely come to you somewhere between 8 to 16 weeks of age. The health and well being of our dogs is always our top consideration. Each of our dogs have multiple vet appointments to evaluate them each year that they are breeding to be sure that our dogs are in optimal health. We realize guardian families have a tremendous sacrifice to make, given the female breeding dog must be returned to us to be bred, deliver and wean her babies before being returned back to your family (approximately 7 weeks). Once the Guardian dog goes into heat, the Guardian family is required to contact us immediately. It is imperative that we know the exact day that her heat starts. A heat cycle will last between 14 and 28 (21 is average) days. During this time, we will need access to her for breeding related appointments. Once she has been bred, she will remain with her Guardian Family until one week before her due date. At that time, the Guardian dog will come back to stay with us throughout her pregnancy, and will be returned once her pups are fully weaned. We do encourage your visitation here with us while your girl is staying with us. If you would like, we will contact you when she is in labor so you can be here with her when she is delivering her babies. The breeding career of female dog starts at approximately 2 years of age and generally ends at about the age of 6. Our girls will average 4 to 5 litters of puppies unless health circumstances cause this to change. Most all of our dogs/pups for our Guardian Program will be females, but occasionally we will have a male available. Our boys will have much shorter stays at our home, if at all, usually no more than 3-4 days. In most cases, the breeding related appointments require the boy to be away for the morning or afternoon. Boys can begin their breeding career once they are a year old and can continue indefinitely but our Stud Contract is set up for 10 years. As you can imagine, his job is much simpler and requires less demands but it will last for a longer period of time. If you are interested in being interviewed and/or wish to learn more about this wonderful program, please begin the process by filling out the application found towards the bottom of our "Puppies" page.